June's Paper Pumpkin kit! Yeah, I know, a bit late since September's kit will be shipping soon! To tell ya the truth, I just put this kit together, with some alternate ideas and projects, only a few weeks ago. Cute huh. Lots of "sweet" stamps in this set too. 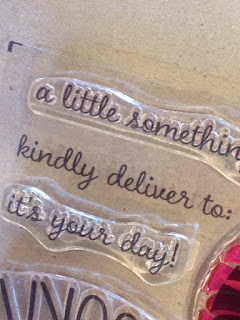 Notice the kindly deliver to: stamp! I've been using it on all my envelopes! With Paper Pumpkin, you receive an unique stamp set every month, which is awesome! 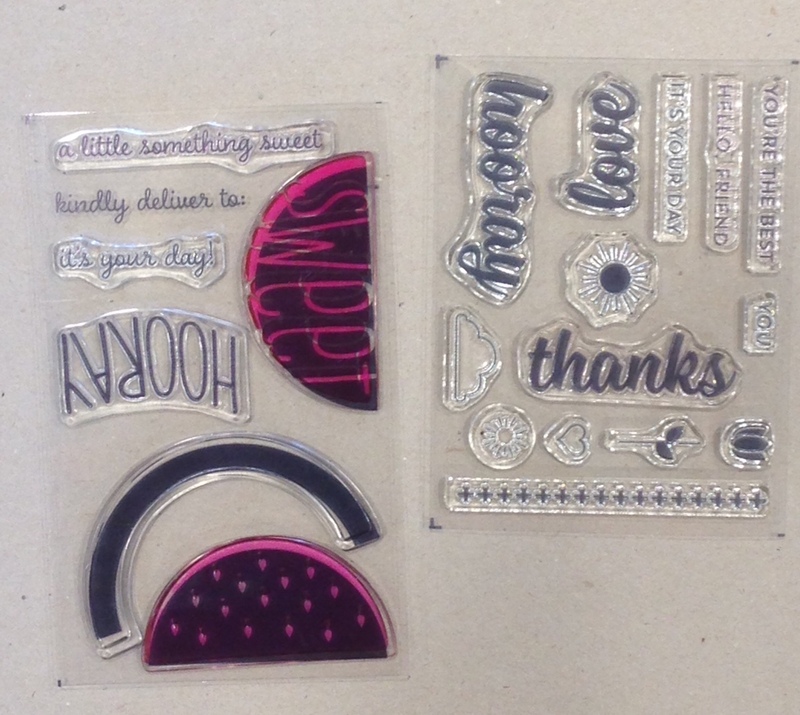 I usually stamp envelopes anyway, but this one has a permanent spot on a clear block for a quick grab and stamp! Check out Stampin' Up! 's Paper Pumpkin Subscription kits HERE! Ordering Code of the Month is on the top right of this blog! Placing an online order in my store, use this code. At the end of the month, one lucky Stampin' Friend will receive all the Stampin' Rewards accumulated! Remember if your order is at least $150 don't use code, you will receive your own rewards and still be eligible for the month's rewards!